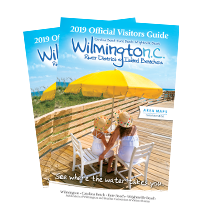 As an historic destination with seven districts listed on the National Register of Historic Places as well as other prominent historic sites, you can be assured there are a variety of events hosted commemorating the significance of Wilmington’s place in history. Civil War reenactments are a staple at the Fort Fisher State Historic Site and Museum. Events held on the deck of the WWII Battleship NORTH CAROLINA command respect for the men and women who defended America’s freedom. Jazz concerts on the lawn or themed tea parties in the garden at the Bellamy Mansion Museum help to showcase the historical significance along with the beauty of this and other historic homes.